There are different types of alcohol people should learn to drink moderately because of a hangover. For most, tequila is at or near the top of that list. But what is a hangover? 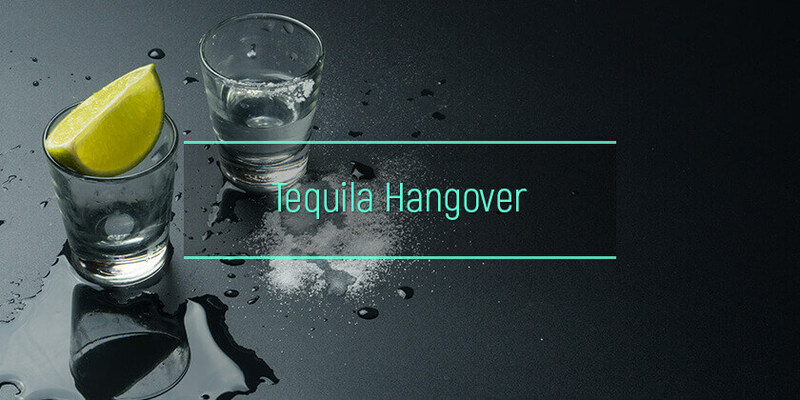 A tequila hangover is a collection of unpleasant signs and symptoms brought about by acetaldehyde intoxication. The feeling is awful and is frequently associated with poor performance and conflict with usual activities. Can tequila cause a hangover? What are the common causes of tequila hangovers? What are the symptoms of tequila hangovers? Do different types of tequila cause different hangovers? How much tequila will cause a hangover? What are the risk factors for the hangover after tequila? Pure tequila vs. cocktail tequila – which cases worse hangover? Is there a tequila that produces no hangover? How to prevent tequila hangovers? Generally, if one had too much tequila last night, the more likely he or she is to experience drunkenness the day after. There are hundreds of mezcal brands, and their quality differ based on several factors. Tequila hangover is quite common in mixtos type with cheap sugars. Brands made with 100% agave are considered no hangover tequila, at least, their manufacturers claim so. Read on to find out whether it is possible to drink mezcal and not to suffer the next morning. Drinkers respond differently to mezcal. For some people, a single drink is enough to cause an after effect, while others may drink heavily and not feel anything including a minor tequila headache. The main cause of tequila hangovers is acetaldehyde poisoning. Alcohol metabolism in the liver breaks down ethanol to acetaldehyde, which is a toxic compound that can promote cell and tissue damage. When alcohol intake is high, acetaldehyde will accumulate causing acute symptoms like nausea and headache. The use of congeners to enhance the taste and smell of alcohol will also lead to immediate and worst hangovers. Congeners, which are byproducts of alcohol fermentation, are commonly found in dark liquors like red wines, brandy, whiskey, bourbon, and agave drinks. This explains why most people experience a headache after drinking wine. Those who drank bourbon, which has 37 times more congeners experienced more severe symptoms as compared to who drank the same amount of vodka or tequila. A hangover after vodka is uncommon and less severe because it contains fewer congeners. Mezcal can cause your body to produce more urine. This causes dehydration often presented by thirst, dizziness, and nausea. Gastric problems are also very common. Acidity is a common complaint of heavy tequila drinkers causing vomiting and pain similar to a beer-induced upset stomach. Blood sugar levels are expected to decrease after tequila loading. This makes people weak, moody, and fatigued. In some cases, agave drinks may cause inflammatory reactions. One may present with memory problems, difficulty concentrating, and decreased appetite. Different kinds of mezcal have varying levels of purity, colors, and flavors and are manufactured differently, hence may give different after effects. Silver tequila is an average variety present in most bars. It is aged for two months or less and is bottled immediately after distillation. Since they are not aged, they would most likely be mixed with sugars. They are known to cause the worst hangovers. If a silver tequila is left to age with colorants and flavorings like caramel, glycerin, and sugar syrup, they get a subtle woody flavor, and a golden hue hence called gold tequila. This can also cause worse headache depending on the additives. Reposado tequila is top shelf. They are aged in oak wood barrels for 2-12 months. They taste richer as compared to silver mezcal. This high-quality tequila gives no hangover because they are usually 100% agave. Anejo is aged in oak barrels for 1-2 years while extra Anejo mezcals are keep-saved for over three years. These kinds are not suitable for mixing and are considered to be more sophisticated than reposado. As rested and pure tequilas, these are also safe options if one wants to prevent drunkenness. 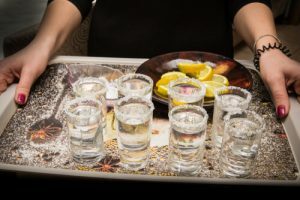 People vary in their response to alcohol, so it is quite hard to tell how much tequila does it take to get drunk and specify the number of drinks that will cause an after effect. Generally speaking though, women who take more than 3-5 drinks a night are more likely to suffer from a hangover. For most men, a dose of 5-7 drinks consumed within 4-6 hours almost always ends up with a hangover. It would also depend on the type of agave that one drinks. There are two main kinds of tequila – pure agave and mixtos. The latter contains approximately 50% agave sugars, and the rest is glucose or fructose. It is said that the best tequila for no hangover includes those that are made from 100% agave. Level of hydration is also very important. It is easier to get morning-after symptoms if one does not drink enough water to keep up with frequent urination caused by alcohol intoxication. Drinking on an empty stomach will speed up alcohol absorption. The use of other drugs like nicotine will increase the likelihood of next-day misery. A genetic variation or family history may affect one’s way of metabolizing alcohol. This greatly affects how long does tequila stay in your system. There two ways many people enjoy mezcal– either as pure as a shot or mix like a margarita. While margaritas are tasteful, they contain high amounts of sugar. The inevitable sugar crash that comes after drinking large amounts of sugar only serves to compound morning-after symptoms. On the other hand, taking shots is one of the fastest ways to get drunk. It is more conducive to accidentally drink past one’s usual limit, hence leading to a worse hangover. Does “No Hangover” Tequila Exist? In one study, Mexican researchers have found that 100% agave tequilas are non-digestible and will not increase blood sugar levels as much as other booze. It does not cause drinkers to sweat excessively and exhaust energy. This explains why pure tequila won’t give hangover symptoms like headache, thirst, dry mouth, and fatigue. Another study proved that beverages with congeners result in more severe hangovers. Clear tequila prevents hangover as they are usually made from 100% agave with less or no congeners. The only surefire way to not get a tequila hangover is to choose the right type of drink. If one cannot control drinking, do tequila hangover remedies. Keep yourself hydrated, get enough rest and sleep, and eat before hitting the bar. These can also be effective as an absinthe hangover cure. Several preemptive products like patches and effervescent tablets may also work, especially with lighter spirits. These may be effective as a gin hangover cure. In case hangovers start to ruin the life, getting help in alcohol addiction recovery center may be a good idea. The treatment for alcohol abuse is mostly covered by isurance.